The engines in both the XR250R and XR250L are identical. In the United States the L has a 3 mm smaller header pipe and a different carburetor to satisfy emissions regulations, though both carburetors have a 30 mm throttle body. The engine has a four-valve head with splayed rocker arms to actuate the valves. Unusual for a single-cylinder engine, it has a two-into-one header pipe. Throughout its production, The R version is kickstart only, features a six-speed transmissions with chain final drive, and has stator ignition. For the pre-1996 models, the suspension travel was 280 mm (11 in) front and rear. The XR250R is the enduro (competition) model; however, the L version is electric start, with pillion pegs, softer suspension and lower seat height. The changes between 1996 and 2004 consisted of decal updates, the mechanical parts being identical. 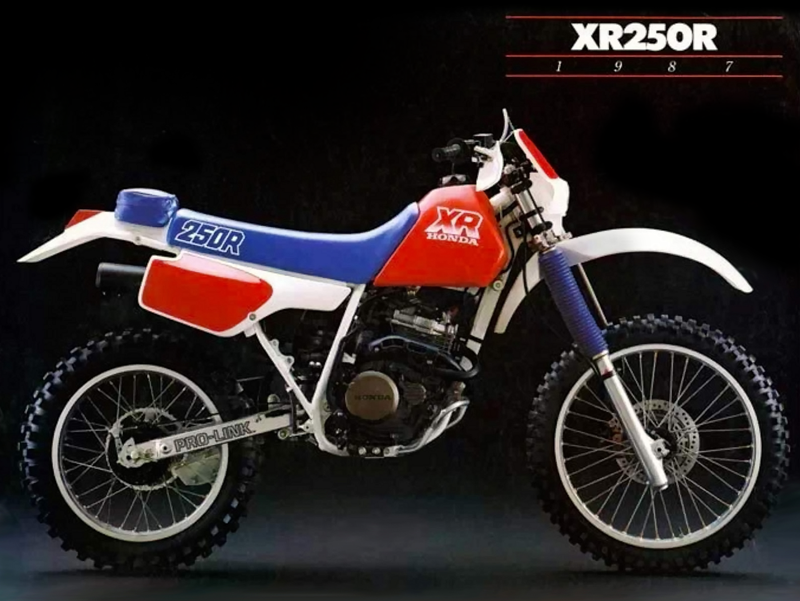 The XR250R was discontinued after 2004.